With seating for up to 5 passengers, enjoy your travels from Frederick to Hagerstown, Martinsburg, Thurmont, everywhere in between, and beyond. Ride in complete comfort and style with an available panoramic sunroof, standard stain resistant cloth seats, alloy wheels, chrome grill, and much more. 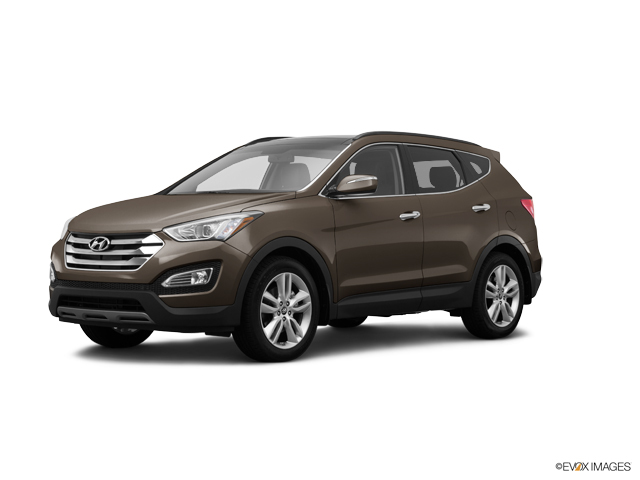 The Hyundai Santa Fe Sport includes great technology like a standard 6-speaker audio system, available Android Auto and Apple CarPlay, USB and auxiliary inputs, and Bluetooth connectivity. With 35.4 cu. ft. of cargo space behind the second row of seats and up to 3,500 lbs. of towing capacity, you will have no trouble taking along all the gear required for your adventures. An available turbo gives you power when you need it most while offering excellent gas mileage, as high as 28 mpg on the highway. The safety of you and your passengers is paramount with standard features like a rearview camera, traction control, tire pressure monitoring, and airbags. Available next generation safety features include blind spot detection, rear cross-traffic alert, lane change assist, automatic emergency braking with pedestrian detection, and many more. Don’t delay, visit Ideal Hyundai of Frederick to test drive a used Hyundai Santa Fe Sport today!